Ty Southerland and his wife, Theresa are avid kayak anglers from Rockport, Texas, and they have got the inshore and offshore bite dialed in with 30 Miles Out Kayak Charters. Right now, inshore fishing for redfish is red hot with weedless jerkbaits the preferred lure of choice. 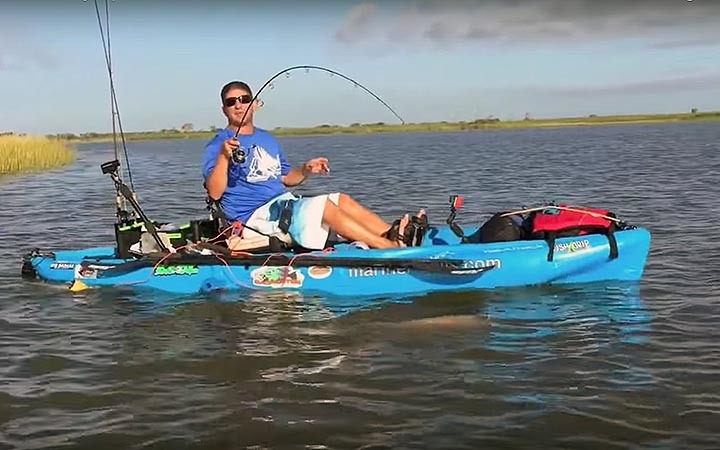 Early morning Skitterwalk or Spook Jr. topwater plugs work well, and if you want to go offshore fishing for kingfish in a Hobie Outback kayak , Ty is your man.